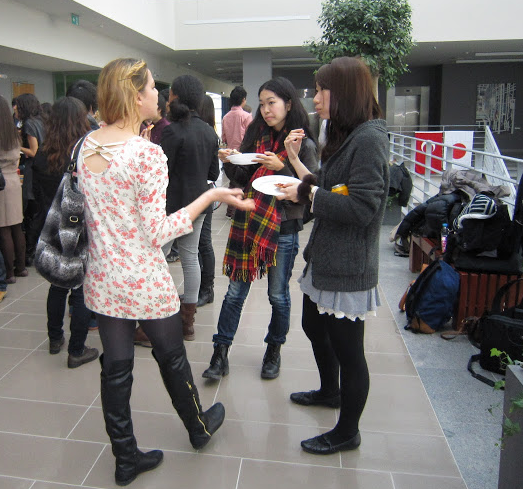 The 7th Euro-Japan English Dialogue successfully concluded on November 10, 2012 in Istanbul. Twenty students from the College of Economics visited University of Osnabruck, Germany, and Ozyegin University, Turkey, over the period of one week, where they carried out debate, discussion, presentations and cultural activities in English with their European peers. The events marked the culmination of a programme that began in April with the selection process of candidates, followed by an intensive preparatory process including Academic English classes and courses in Research Skills and Presentation Skills. The aims of the programme include improving English in an academic setting, promoting international exchange and providing participants with a firmer grasp of current economic theory and practice. 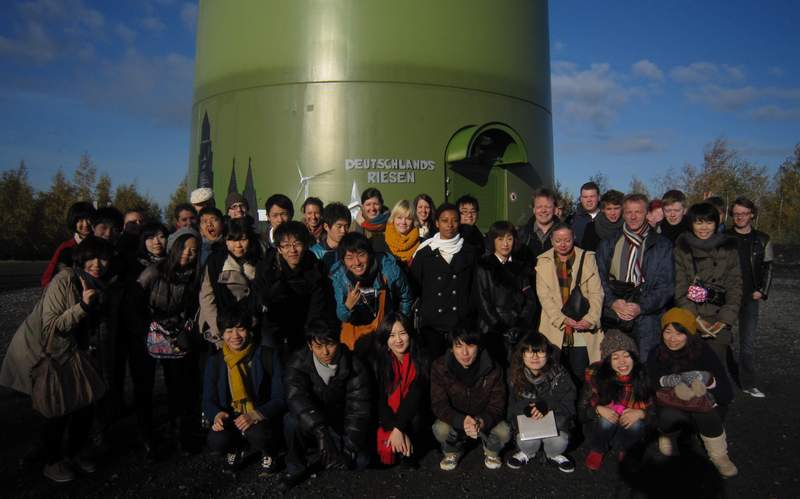 At University of Osnabruck, students tackled the current discussions about nuclear power, under the banner “Nuclear Power: What are the Alternatives?” Among other topics, students compared the use of solar power in Germany and Japan. Dr. Carmen Schmidt of University of Osnabruck graciously organized a visit to a wind power station and recycling plant to complement the discussions. 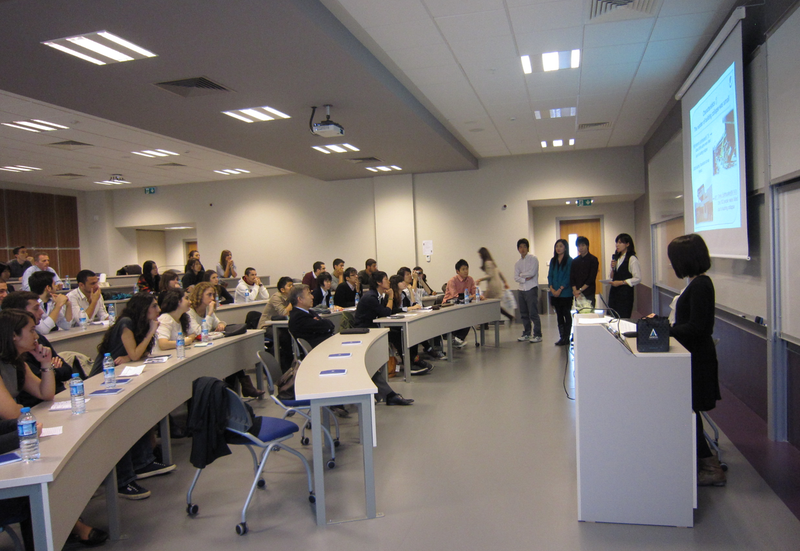 At Ozyegin University, students debated the issue of “Natural Disaster Preparedness”. 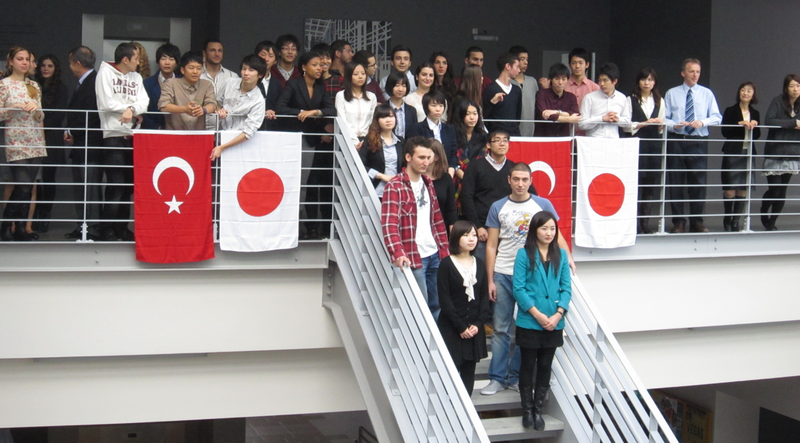 With both Japan and Turkey suffering frequent earthquakes, there were many opportunities to compare and contrast. Anjariitta Rantanen of the International Office organized a cultural tour of Istanbul with the Ozyegin students acting as guides. The YNU participants were thrilled to learn from locals about this historic, vibrant city.